Place the sliced egg on the toast. Mix the mustards and sour cream together. 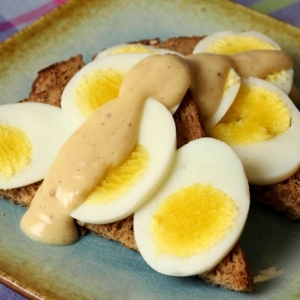 Spoon the creamy mustard sauce over and serve.